I'm human, so it goes without saying that I love bacon. You're human too, which means chances are pretty good that you also love bacon. Yet as beloved as bacon has always been, it's just now experiencing a culinary renaissance, which I love. Bacon chocolate? Heck yes. Bacon donuts? Bring it on. Bacon booze? Now we're talking. Depending on how open-minded you are with bacon, that last option may have sounded great, or it may have sounded a little weird. I was in both camps... so I made bacon bourbon. It's fantastic, and if you are a fan of both bacon and booze, I highly recommend that you make it too, which is remarkably easy. This is the holy grail of step ones. "Fry some bacon" is an instruction, but it certainly isn't a chore. You want to fry four pieces of bacon dry (no oil or butter added), and at a low heat, starting in a cold pan. This method of cooking guarantees that you'll render the most fat possible out of your bacon (instead of frying the outside and trapping the fat inside), which will give you the most pure and full bacon flavor. The type of bacon also impacts the flavor of the end product, so choose your favorite bacon! Once it's done cooking, pour off the fat and let it cool. 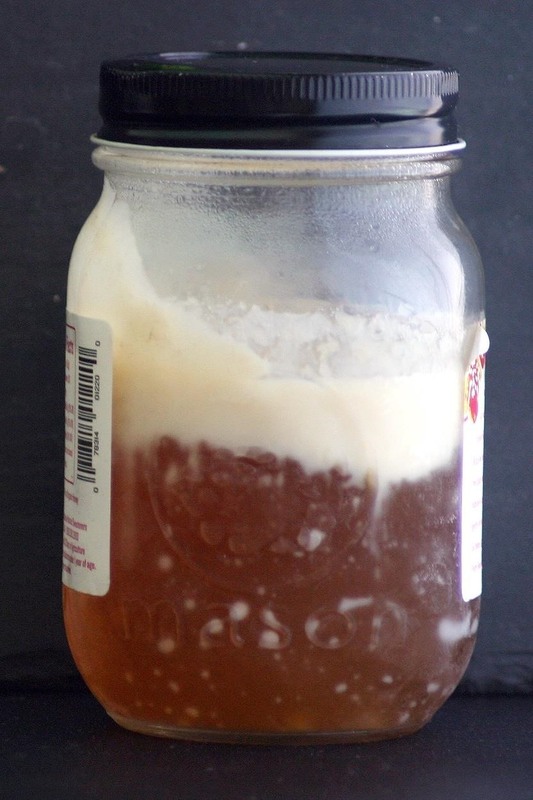 Take your cooled bacon fat (there should be at least an ounce), and mix it with a 750 mL (about 25 oz) bottle of vodka or bourbon. I suppose you could try it with another spirit as well, but bacon-infused tequila sounds horrifying. 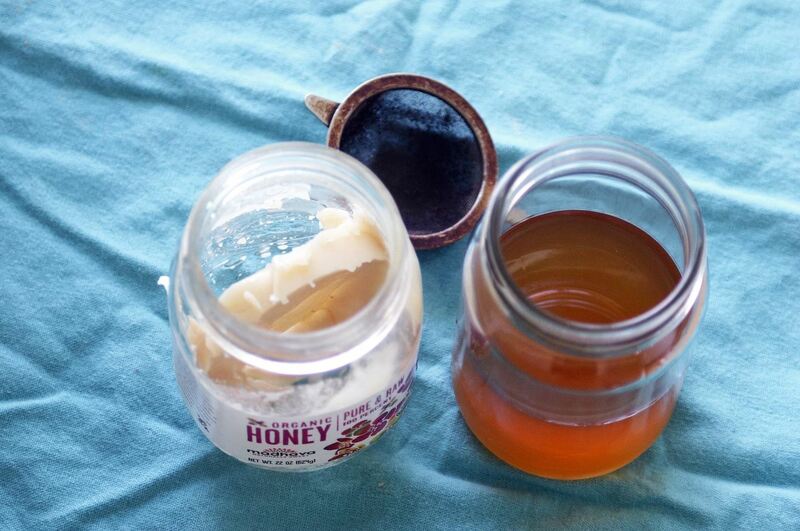 Mix them together in a glass jar with a large lid (do not mix them in the bottle of alcohol, as the narrow opening will make it a nightmare to get the fat out). 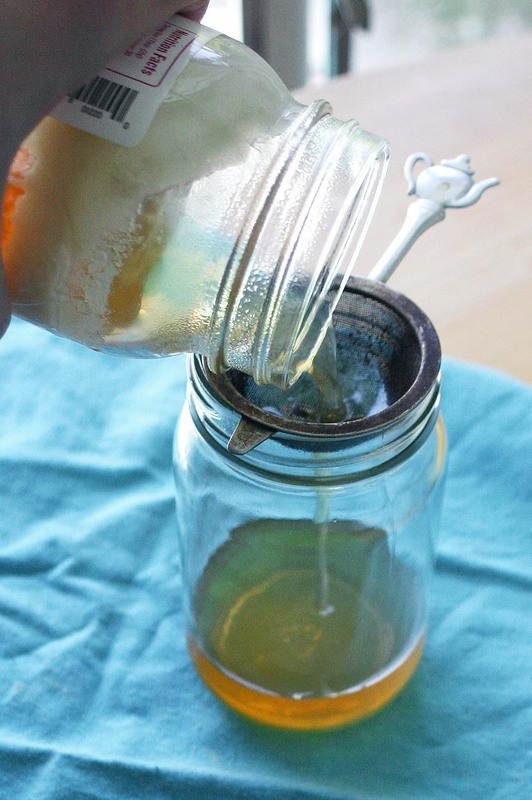 Let your boozy bacon fat mixture sit at room temperature with a tight lid on for 4–12 hours, then put it in a freezer. In the freezer, the fat will separate from the alcohol and freeze, forming a solidified layer above the booze, which will remain liquid. Once the fat has frozen, remove the mixture from the freezer and pour it through a strainer, cheesecloth, or coffee filter. Don't throw away the fat! 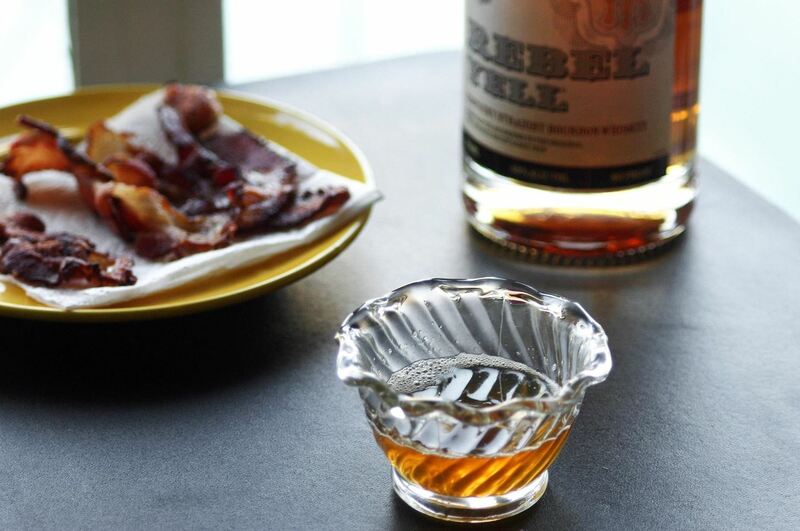 Not only does this trick yield you bacony booze, but also boozy bacon fat, which adds that much more flavor to your recipes. After you've strained the booze, you'll have a delightful spirit with hints of bacon to add to your Old Fashioned or Bloody Mary, or just to drink neat. Lots of recipes online encourage you to soak the cooked bacon in the alcohol as well (or to soak lots of cooked bacon with no fat, but I've found I prefer just the fat; the bacon doesn't add anything in my opinion, and I'd much rather eat it the moment it comes out of the pan! Ready for more bacon-y good times? Then learn how to make candied bacon—you won't regret it. If you don't have a roasting rack, here's how to make one for crispier bacon. Ready to branch out? Then explore caul fat: it might give dishes even more flavor than bacon. I make bacon cheeseburger beer. I Cook a bacon cheeseburger, and drink a beer. It's fantastic. 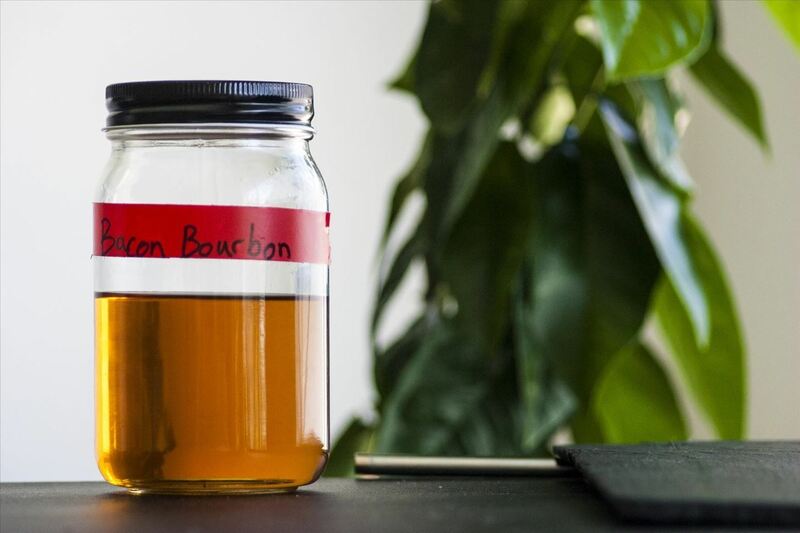 If you ever want to just try it, I've found that a fair number of craft bars have started selling drinks with homemade bacon vodka and bourbon. It's worth doing a quick search of bars in your area; if you live in a metropolitan area you should be able to find some.